All that now remains of the buildings of Manuel Nunnery is the N portion of the W gable of the church. The more easterly part of the site has been washed away by the River Avon, as were the S side-wall and the cemetery in 1783. 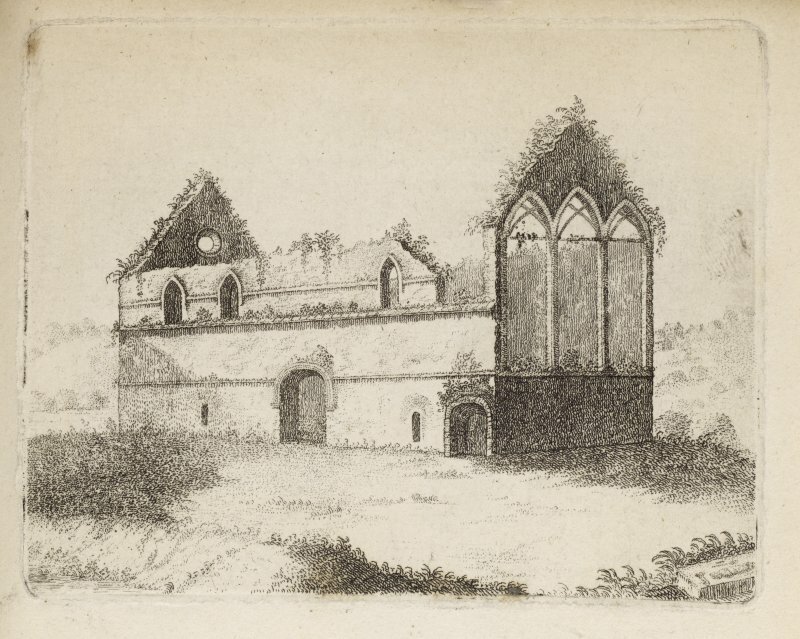 A drawing of about 1739 (A Cardonnel 1788) shows the church as still entire, though roofless. The cloister seems to have been on the S, entry being obtained by a doorway in the middle of the S wall of the church. Architectural details suggest a 12th century date for the building. Manuel, a house of Cistercian nuns, was founded by Malcolm IV before 1164. Little is known of its history or possessions, but the house was not wealthy and the community may always have been a small one. A prioress and four nuns were in residence in 1552. The remains of the nunnery are as described. Visited by OS (JLD) 17 December 1952 and (JP) 10 January 1974. Magnetometry and area ground resistance measurements were made over an area of 100m by 100m in a field to the north east of the remaining section of the nunnery church that stands beside the River Avon two miles to the south west of Linlithgow. There is record of building in this field and the surveys were made to inform an excavation that was made in parallel with the survey. Resistive and magnetic printouts correlated well but neither showed outlines that could be interpreted as the remains of rectangular buildings. Curving areas of enhanced magnetic response are mostly related to matching areas of raised resistance and could represent varying drainage channels in the drift geology. Linear high resistances, that enter the area from the south west just to the north of the church wall, were early candidates for excavation and were found to be cobbled surfaces and probable wall footings. Relief plots of the resistance survey show rig and furrow cultivation over the whole area with furrows curving to conform to the line of the bank of the River Avon; this plot also shows a possible structure, at the north east corner of the survey, that is adjacent to a spring. A magnetic anomaly line, that cuts from the north west side of the survey to the middle of the south side is not matched by a resistive feature and may be the infilled line of the leat from the Manual Burn into the River Avon. Removal of stone from the Monastery of Manuell. 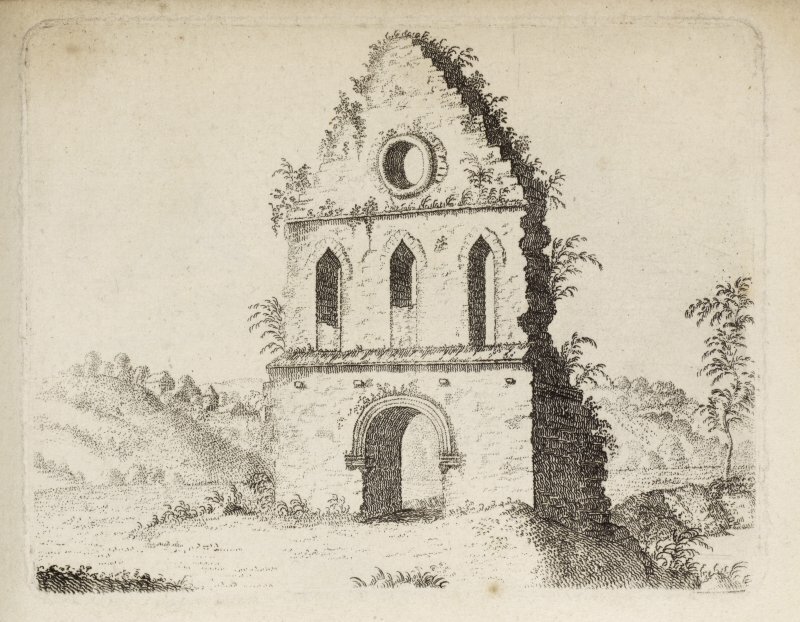 John Colquhoun seeks permission to take stone 'from the ruinous monastery of Manuell'. The stone would be of great use to him but no one else. He asks Baillie james Bowie of Falkirk to assist him to obtain permission. the S of the church, as is more usual, and that it had been washed away when the River Avon changed its course in the 18th century. Area ground resistance and magnetometry surveys of a larger area, 100m square, showed the W/E wall and high magnetic anomalies at the W end of the field. W/E rig and furrow lines appear on the resistance plot. Archive deposited with Falkirk Museum. Funder: Falkirk Local History Society, Edinburgh Archaeological Field Society, Peter Morris, Historic Scotland.